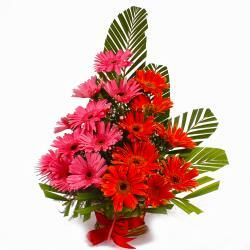 Product Consist : Basket Arrangement of 4 Orchids and 6 Pink Lilies includes green fillers. 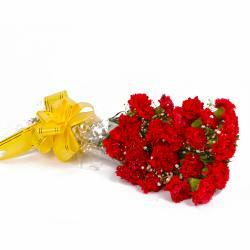 Flowers can make the best gift for anyone on any occasion as they have the capacity to charm anyone with their natural beauty. So go ahead with sending a beautiful arrangement of purple Orchids and pink lilies that we have here. The lilies and orchids that we have here, are spectacularly arranged in a basket. 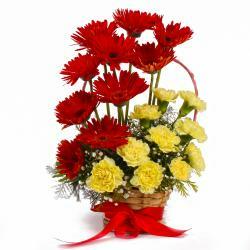 They are in jute wraping and are added with lots of stylish fillers. 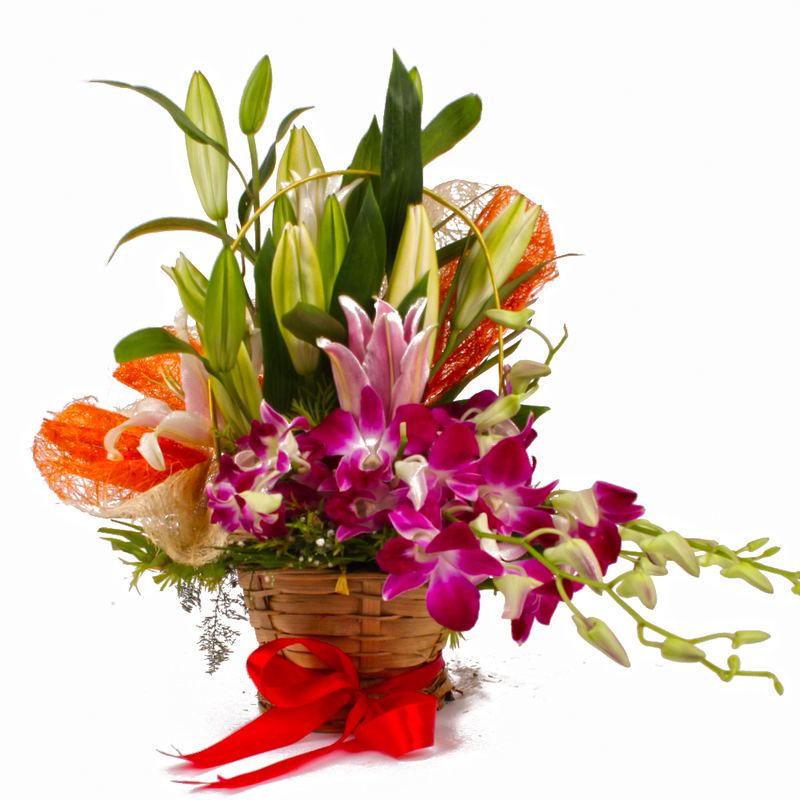 This pretty arrangement of orchids and lilies will surely elate anyone from the core on special events like Birthday, Anniversary, Retirement Gifts, Easter, Valentines Day. Place an order for it right away. 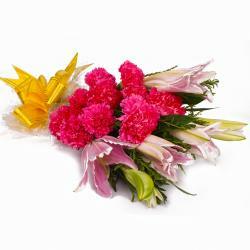 Product contains : Stylish Basket Arrangement of 4 Orchids and 6 Pink Lilies includes green fillers.